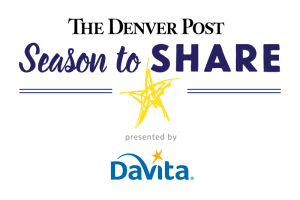 The Denver Post, DaVita and The Denver Post Community Foundation, with funds raised through Season To Share, are committed to helping those less fortunate in our community improve their lives and become self-sufficient. With the generous support of donors, and the matching funds by DaVita, grants are made to qualified nonprofit organizations that focus on children and youth, health and wellness, homelessness and hunger. All children should have the chance to succeed in life and opportunities to help them reach their full potential by being on track for success in the classroom and in life. Funding will focus mainly on out-of-school time programs that support the development of children and youth in the community, ages 5 – 18. Programs must be evidence-based and demonstrate positive outcomes in academic achievement and/or social and emotional development and show ongoing relationships with children/ youth beyond a one-time encounter. Programs must also focus on youth with barriers to success, serving at least 60% who qualify for free and reduced lunch or other low-income indicator. Everyone deserves access to services that help them be healthy, including physical, behavioral and dental health care. Funding will focus on established programs providing access to affordable, high-quality health care services for low-income residents in underserved communities. Programs of interest include community health centers serving under- and uninsured populations that provide integrated care and K-12 school-based health centers in schools where at least 60% of students qualifying for free and reduced lunch. Organizations must be able to demonstrate positive health outcomes for clients in addition to other output measures. The issue of homelessness persists in our community and providing housing and services is important in working to end homelessness and support families and individuals. This funding area supports prevention services and/or long-term housing strategies with multiple wrap-around services for individuals and families. Eligible programs include homelessness prevention programs that provide short-term financial support (i.e. rent, utilities, mortgage) to maintain current housing and supportive and transitional housing (six months or more) with additional supporting services. Programs must effectively demonstrate impact by tracking clients who are able to maintain housing and/or those who transition into and maintain more permanent and/or stable housing. Families and individuals deserve access to nutritious, supplemental food in order to meet their daily needs and to help support them in work and school. Funding priority is given to established providers with large-scale programs or initiatives that reduce food insecurity. Eligible organizations and programs must meet the following criteria: effectively use data to make organizational decisions; provide client-choice services; offer nutritious food options; work in geographic areas where gaps for and access to nutritional services exist; support enrollment in SNAP/benefit programs; and provide warm referrals to other community supports. 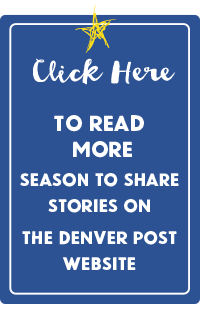 The Denver Post Season To Share presented by DaVita supports eligible organizations and programs that help low-income children, youth and families access services to overcome obstacles impeding progress out of poverty and towards stabilization and self-sufficiency. Funding consideration is given once per year to programs that meet criteria in one of the issue areas already mentioned. Grant funding from Season To Share is possible for up to three consecutive years, then an organization must take a year off before reapplying. There is a competitive application review process and funding is not guaranteed to any organization, returning or newly invited. For the 2018-19 campaign, the opportunity to submit an LOI is now closed. The next opportunity to submit an LOI will be in May 2019. Selected organizations’ primary contact was sent an email invitation to apply on September 6, 2018. If an organization was not selected to submit a full application, their primary contact was sent a decline email on September 6 as well. 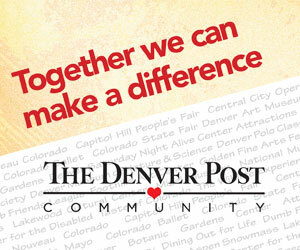 If you think you should have received an email and did not see one, please contact us at dpcommunity@denverpost.com. 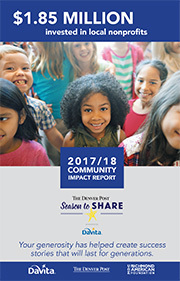 Season To Share uses an online application process that mirrors the Colorado Common Grant application questions and attachments. A link will be sent to organizations invited to apply. 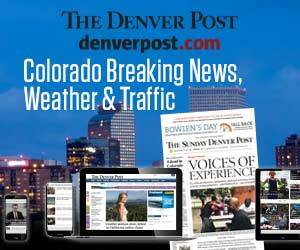 For more information, please email dpcommunity@denverpost.com or call 303-954-3001.